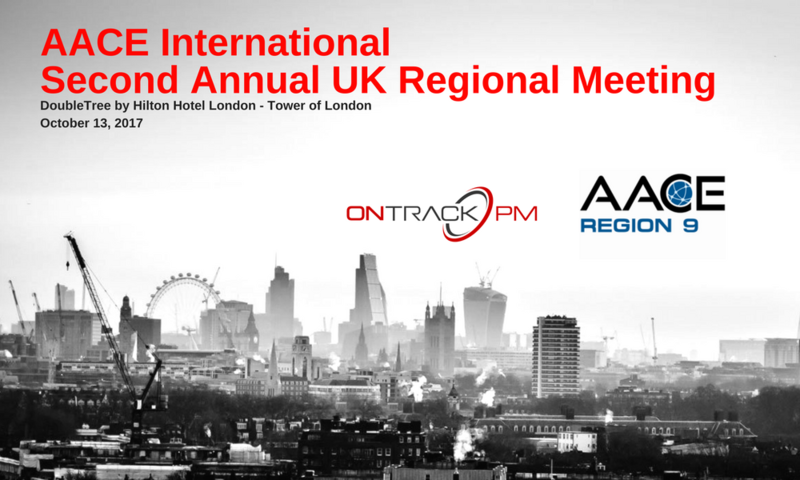 After hosting two successful conferences in Sandton and Lagos with the support of AACE South Africa and AACE Nigeria sections respectively, we would like to announce the return of AACE International Region 9 Annual United Kingdom Meeting. Whether you would like to attend the conference and hear the latest papers on project controls, cost control, EVM or you want to earn a CCP/PSP/EVP and become a Certified Professional this event is right for you. Open discussions, trainings, IT tools showcasing and master-classes from leading foreign experts of PM and CE are planned! Stay over by taking our continuing seminars, authorized trainings and/or consultations taught by skilled instructors with real-world experience. Meet one-on-one with the leading consulting firms and software providers in our industry and discover solutions to meet your specific job challenges. The Conference will take place on October 13th, 2017 at Doubletree Hilton – Tower of London. It will consists of a number of presentations, technology showcases and a networking mixer. Please refer to this page for the rough schedule of presentations, details as to when and where the meeting will be held, instructions on how to purchase your tickets and some additional information regarding the key note speakers and technology showcase.